The discussion around people's banished right to unlock their own cellphones has been framed as an unexpected and unanticipated effect of the copyright monopoly. To the contrary, it shows the heart of the monopoly's philosophy: killing ownership as a concept. There is a weak copyright monopoly reform bill happening in the United States Congress at the moment. This bill is not about the copyright monopoly at all, and at the same time, about everything that the monopoly actually is. It is the Unlocking Technology Act of 2013. The bill, which was presented to the U.S. Congress three days ago, makes it legal to unlock devices such as phones that you own, and do what you like with them. Let’s take that again, because it is jaw-dropping: the bill reforms the copyright monopoly to make it legal to tinker with objects that you own. It has nothing to do with BitTorrent, MKVs, streaming, or what we normally associate with the activity of sharing culture outside of the copyright monopoly distributions. The bill is about your ability to take your phone to a different wireless operator. Your own phone, that you bought and paid for. Your legal ability to bring your own property wherever you like, without breaching criminal law and risking jail. How on Odin’s green Earth did this come to have to do with the copyright monopoly? Few contemporary discussions put the spotlight like this one on how the copyright monopoly is not about rewarding artists, but is a political war on property – on our ability to own the things we paid for. (I won’t say “bought”, as that implies we actually own them.) The copyright monopoly is dividing the population into a corporate class who gets to control what objects may be used for what purpose, and a subservient consumer class that don’t get to buy or own anything – they just get to think they own things that can only be used in a predefined way, for a steep, monopolized, fixed price, or risk having the police sent after them. This is not a free market. This is the opposite of a free market. The copyright monopoly stands in opposition to a free market, and in opposite to property as a concept. Some people insist on deceptively calling the copyright monopoly “property”, which is categorical nonsense every bit of the way. Two people can’t both own an object in full; this is part of the very definition of property. Obviously, the idea that you could own the jacket you’re wearing while I could own its color is both asinine and nonsensical, just like the idea that you can own a CD but I can own the laser-etched pattern of grooves carved into it. Yet, the copyright monopoly maximalists insist on calling their monopoly “property” in continued and deliberate deception. When you press them on how this goes counter to every known definition of property, they usually fall back to a stupid statement along the lines of “property is whatever we define it to be”, which avoids basic statements of fact on the nature of property, and goes to reveal the true intent – redefining property to something that creates two new classes in society: the corporate masters who own property, and the citizen serfs who get to use things they pay for in ways that are strictly defined and constrained. To illustrate the absurdity of this, imagine a carpenter that had the legal right to send you to jail if you used his chairs in ways he disapproved of, after your having bought those chairs. This is what the copyright monopoly was always about. The phone-unlocking issue is not an oddity or an outlier; it lies at the very heart of the monopoly’s philosophy. The copyright monopoly was always about control over other people’s property, and always about preventing creativity and innovation that could threaten the incumbents. 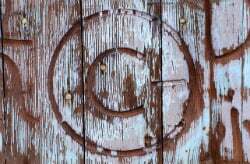 The copyright monopoly hurts creativity, hurts our economy, hurts our entrepreneurs – and most importantly, it is an affront to the most foundational concepts in society, such as the right to tinker with your own property. It needs to be questioned, dismantled, and abolished. c There are 210 comments. Add yours?